Keratoconus can be treated with special Keratoconus Contact Lenses, which must be selected and fit by a qualified Keratoconus Doctor. Keratoconus is a rare condition where the cornea of the eye becomes cone-shaped over time. The cornea is the hardened clear covering over the lens in the center of the eye, and normally it is visible as a slightly rounded bulge over the iris and pupil. In keratoconus, the cornea actually becomes cone-shaped, which creates a different kind of effect on your vision. When it first starts it may seem like simple nearsightedness and can be corrected with normal lenses. However as the condition advances, your vision becomes more distorted, beyond the ability of normal corrective lenses. In addition, you can start to get ghosting or glaring, which no regular corrective lenses can correct. There are rigid gas permeable contact lenses that provide a greater degree of correction and can address the change in shape caused by keratoconus. Another option are hybrid lenses. These have a hard center area to address the unusual shape of the cornea, but are surrounded by a soft contact lens “skirt” that reduces the discomfort and can provide for a longer term wear. There are also options for custom contact lenses or special lenses called “scleral contact lenses” that actually extend out to the sclera, or white, of the eye. Dr. Forister can discuss these options with you. Another solution may be a new product known as Ultra Health and Ultra Health FC contacts. These are a special contact lens designed for patients with keratoconus. They are worn like standard contact lenses, resolve vision and ghosting problems, and avoid risky surgeries. 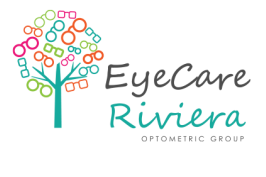 An experienced optometrist doctor can help you understand your options and if contacts are the right answer for you. If those keratoconus contact lens treatments do not help, then you and your doctor might choose corneal surgery. There are several treatments for keratoconus. The one that is right for you depends greatly on how severe your condition is. The most important part of your decision, though, may not be what keratoconus treatment to choose, but which keratoconus doctor you want to trust with the decisions about your eyes. Dr. Forister has extensive experience with keratoconus patients and has helped many to see clearly again.